Tomorrow is the 4th of July, which means it's time to show your American Pride & sport some red, white, & blue. This is one holiday where it's okay to get a little campy with your outfit, especially since there are so many chic clothing options that are emblemized with an American flag. 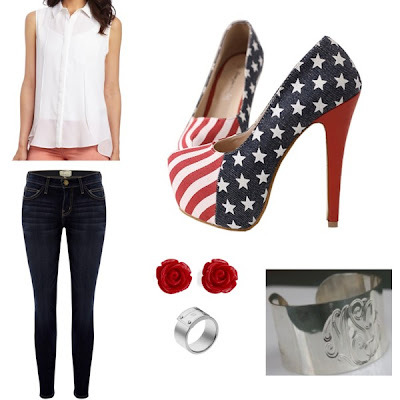 I used Polyvore to put together some great outfit options below. Check out my Polyvore profile for pricing information on the outfits!